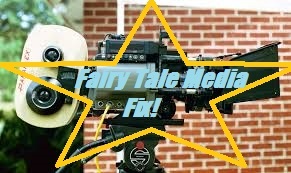 Fairy Tale Fandom: Fairy Tale Media Fix: Beauty and the Beast (1987). Fairy Tale Media Fix: Beauty and the Beast (1987). Part two of our look at the Cannon Movie Tales! That’s right, back to Cannon Films. The same people who gave us Superman IV: The Quest for Peace and the Mystery Science Theater 3000 favorite Alien From L.A. (sigh). This time, we’re looking at an adaptation of one of the fairy tales that has probably had the most decent screen adaptations. I mean, I don’t have any numbers or statistics right here, but I’m pretty sure “Beauty and the Beast” is close to the top of that list. The only tale that I can imagine having more good adaptations would maybe be Cinderella (fun fact: Cannon Films never adapted Cinderella). The Cannon Films version of Beauty and the Beast came out in 1987. It stars Yossi Graber as Beauty’s father, John Savage as the Beast and in the marquee role, Rebecca De Mornay as Beauty. Pretty much all these Cannon Movie Tales had one “marquee” star. They didn’t spend much money on anything else, but they did spend a lot on at least one bit of casting per film. Hey, anyone notice with fairy tale films that sometimes they just tell you the whole plot. Like, the Disney Cinderella remake did the same thing. I think this could have to do with the culture of comfort and nostalgia that’s built up around them. The people making the movies fully expect you to already know the story, so they don’t worry about spoiling anything. Anyway, the story follows a streamlined mix of the Villeneuve and Beaumont versions. It starts off with Beauty (not Belle in this version, though it means the same thing) as the daughter of a wealthy merchant. She also has four older siblings who lean on her for any number of things. Things are fine until one of her father’s ships is lost at sea. Now much less wealthy, they move to a smaller house and start a new life. Beauty is okay with this, but her siblings are absolutely wretched about it. The father finds out that his ship has returned. He promises gifts, including a rose for Beauty. He rides off only to find the ship has been sold. He finds the Beast’s castle, steals the rose, has to offer up his daughter . . .
You know what? It’s the story of “Beauty and the Beast”. If you’re here, you probably know that story. I don’t even know why I bothered trying to summarize it. The real question is how did they adapt this story? Well, narratively, it did okay. It was faithful and the story didn’t seem to drag. Technically, it was . . . off. It’s things like make-up, sets and actors that really skewed it. In terms of actors, there are some worthwhile performances. Yossi Graber who plays Beauty’s father does a decent job. Rebecca Demornay, the only well-known actress in the production, puts in a solid performance as Beauty. 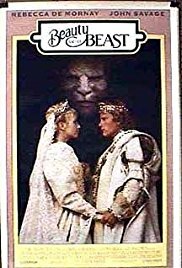 But John Savage just doesn’t have the kind of presence I’d want from either the Beast or the Prince, and he does play both throughout the film. The films adopts the old Villeneuve device of having Beauty dream about meeting her prince every night. Savage doesn’t really sell “charming prince” and try as he might, he doesn’t quite give us the combination of nobility, sadness and intimidation you’d expect from the Beast. The make-up, which seems like almost good Beast make-up but not quite there, doesn’t help. I’d blame it on the era and the culture’s interpretation of the Beast not evolving yet, except it was the ‘80s. The same era that gave us Ron Perlman’s TV Beast. As for locations and sets, it’s a mixed bag. The thing with the Cannon Movie Tales is that they’re all filmed in and around Tel Aviv, Israel. Sometimes this is really obvious and throws off the whole “European folk tale” feel. Other times, it’s used really well. For example, in this movie you can see Belle’s father riding across a stretch of desert to get to the Beast’s castle. I think this works really well. It underscores how distant Belle is from her family. However, the castle he gets to is . . . surprisingly small. I mean, it looks no bigger than a regular suburban house when you first see it. The set for the inside of the castle actually seems bigger, giving it this unintended TARDIS effect. I'm going to wrap the whole thing up soon, but I thought I'd spoil one thing. The whole thing ends like most cinematic adaptations of Beauty and the Beast do, with Beauty seeming to be a little confused and disappointed that the Beast changed back into a prince. I don't know why that seems to be the case with almost every "Beauty and the Beast" film adaptations. If anyone has any theories, please let me know. Anyway, the thing with the two Cannon Movie Tales I’ve reviewed thus far seems to be that they're really middle-of-the-road. They’re not awful, but they’re not really good either. They’re just flawed. But I think that feeling comes from the fact that in our culture we're used to seeing fairy tales get adapted in any number of ways with any number of budgets. Though, there are movies in this series that are bad. Trust me, we're getting to those. Anyway, on to the next one! I should note that the poll gadget no longer exists here on Blogger. So, the next vote will have to happen on social media. Look for @FolkTaleGeek on Twitter or the Fairy Tale Fandom page on Facebook.